Take advantage of the finest skydiving New York has to offer at beautiful locations all across the state! If you're a die-hard thrill-seeker, browse through our definitive guide to skydiving in New York. Experience the free fall and enjoy the breathtaking view of New York jumping with the best. Skydive Long Island has two of the safest and most versatile planes in the business. They use the latest equipment and training methods. 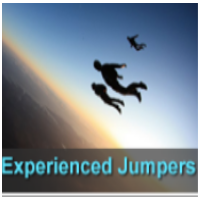 All instructors are fully certified with thousands of jumps under their “wings”. When you land on the ground, you can go and share your impressions at the lounge or video room inside the facility. At Skydive Long Island, they pride safety as their No.1 priority! Become a professional skydiver jumping with the only full-service skydiving training facility on Long Island. No prior experience is required. Reservation times: Weekends 8 am to 5 pm; Weekdays 9 am to 5 pm. The price for the Tandem Skydive starts from $215. If you bring at least four more friends, you will get a discount. Have you ever wanted to try something crazy? Something that will stay with you for the rest of your life? Why not try Skydiving in Long Island NY? Skydiving Long Island has the highest jump on Long Island at 13,500 ft and has the largest aircrafts in Long Island as well. It is a great place and you will never forget this experience. So come to Skydive Long Island now! 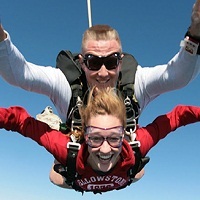 For all of you adrenaline junkies, Skydive the Ranch offers some of the best skydiving experiences in NY. It is located near the Shawangunk Mountains so you can enjoy the breathtaking views while trying to defy gravity. 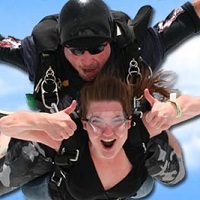 Whether you are a beginner or an experienced skydiver, at Skydive the Ranch you will satisfy all your expectations. Skydive the Ranch has been in business for over 30 years and offers jumps from 13,500 feet, 6 aircrafts which can carry large groups, tandem skydiving, and has a team of licensed tandem instructors. Working hours: Monday to Friday 10 am – 7 pm, Saturday and Sunday 8 am – 7 pm. For more information, visit the website. If you are at least 18 years of age and want to feel supreme excitement, come to Saratoga Skydiving Adventures for some of the best skydiving in NY. They offer the latest equipment, a well trained staff, modern training programs for tandem jumps, static line jumps, and accelerated freefall progressions. The instructors have current certification issued by the USPA. 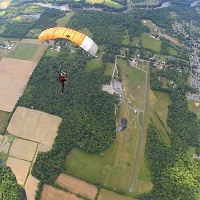 Saratoga Skydiving Adventures is the only area Drop Zone operating 365 days a year (weather permitting). You can buy someone a skydiving gift certificate and have them constantly talking about the experience. It is perfect for birthdays, college graduation, Father's Day or any kind of celebration. For more information, visit the website.